Required Wear/Weaponry Level A Hazardous Material Suits are to be worn at all times when in the presence of the item. Location: Information overridden by Alpha Command. Reported Anomaly: ACCESS DENIED, only personnel with Code: Black Silence Procedures may access this information. Item with outer coverings removed. Item is to be used for the systematic weakening, disruption, or elimination of enemy facilities and personnel. Due to the item's potential to bring about the occurrence of a World End Scenario, only personnel cleared by 3 OURANOS personnel and inducted into Project Shroud may gain access to the item and it's classified documents. All testing of the item must be authorized by 2 Alpha personnel and conducted under the supervision of 1 covert OURANOS personnel. Deployment of the item requires the clearance of 2 Alpha personnel. Unauthorized tampering, misuse or accidental activation of the object will result in termination with extreme prejudice. Should Global Occult Coalition troops or Mobile Task Forces attempt forcible retrieval of the item, onsite personnel are permitted to activate the item under Code: Black Silence. During activation of the item in question, all personnel are to immediately retreat to the currently approximated exclusion zone outside the item's sphere of influence. Should the item's effects reach critical levels of expansion, All personnel should immediately comply with Emergency Protocol: Dark Star Falling, initiating full base lock-down. Item is a 2.1 m high, 3.4 m long, 0.5 m wide clockwork contraption resembling a large ornate clock adorned with decorative brass fittings and golden carvings resembling those of 19th century English nobility. Above the clock face of the item is a balcony fashioned out of ivory with a mechanical door capable of opening upon activation. Examination of the item's interior reveals numerous mechanical gears connected to wires, springs, tubes, drive belts and one large hydraulic piston underneath. The item appears to function via a simple wind-up escapement mechanism and can be activated by turning a key located at its base. Upon activation, a loud whirling clicking sound will begin emanating from within the device. The hands on the clock face will turn counter-clockwise before finally stopping at exactly 12:00 AM. While this occurs, tinkling music from within the clockwork, resembling that of a undetermined female, will start up and continue until the clock hands stop moving again. At this moment, the mechanical door on top of the clock's balcony will open, revealing a clock figure. The item is known to reveal a different clock figure each time it is activated, each of which display different properties. So far, only 5 figures have been identified by base personnel during tests. The inscription on the clock figures plaque reads: The Ill Omen. Clock Figure resembled a thin grey male dressed in dirty grey rags and wrapped from head to toe in bandages, obscuring facial features with exception of one eye. Upon revealing itself on the balcony, the clock figure began to violently cough and wheeze for several hours, spreading a green dust over a 5-6 km radius. All personnel within range at the time (not wearing protective clothing) collapsed onto the floor and began to cough violently producing excessive amounts of pus and blood before ultimately expiring. Biological analysis of the green dust revealed it be contain Yersina Pestis bacterium. Autopsy reports reveal that all the victims possessed multiple black lymph node swellings as well as a high concentration of bloody foam in the lungs. This clock figure is the most commonly occurring figure of the item. In other instances of its appearance, the clock figure has been known to release highly virulent strains of smallpox, anthrax and numerous other lethal airborne diseases. The inscription on the clock figure's plaque reads: The Craving. Clock Figure resembles a young woman holding a small boy in her arms apparently begging someone for something. Once revealed, both the child and the woman begins to cry and wail all while gesticulating wildly with their limbs for several hours. Upon revealing themselves, all food and vegetation within range of the item were quickly rendered inedible via accelerated decomposition. All personnel within range of the item started complaining of increasing hunger and dehydration. Several personnel expressed an increased desire for eating and attempted to either quickly consume portions of their own bodies or cannibalize other personnel. After the effects of the device ceased, everyone returned back to their normal state of minds. The inscription on the clock figure's plaque reads: The Cleansing of Sin. Clock figure resembles a person of unknown gender tied to a stake. Once revealed, the figure screams loudly in agony. Dark-purple flames will erupt from around the item itself before spreading rapidly outwards consuming everything it touches. Attempts to extinguish the flames via carbon dioxide or other methods have proven ineffective. Only after the figure has retreated do the flames finally extinguish on their own accord. The inscription on the clock figure's plaque reads: The Rewriter of Gaia. Clock figure resembles a crumbling stone tower. Upon revealing itself, the large hydraulic piston within the item began to thump the ground in quick succession causing minor structural failure to nearby buildings as well as opening up large fissures in the ground. Seismograph recordings determined the tremor to be 5.0 on the Richter Scale during the first time, 6.5 the second time and finally 7.8 the third time the clock figure revealed itself. The inscription on the clock figure's plaque reads: The Penultimate Judgement of Man. Clock figure consists of a black-roped figure wielding a scythe along with several demonic winged entitles perched on a cliff. Upon activation: [DATA PURGED], revealing the black-robed figure wielding a scythe flanked by dozens of the demonic winged entities present on the clock figure. All entities immediately sought out all nearby base personnel. While the hooded figure proceeded to violently slaughter all base personnel via removal of their limbs or decapitation, the demonic entities proceeded to tear off chunks of the corpses, feasting upon the entrails voraciously. After consuming corpses, the demonic entities began to reproduce among themselves. Upon device's deactivation, all nearby demonic entities as well as the hooded figure collapsed onto the floor contorted their bodies in pain while emitting a high-pitched shriek before dissolving into puddles of black viscous liquid. Analysis of the liquid reveals its composition to be human flesh, feces, and urine. The duration of the item's activation times are varied at best. Experiments have shown however, that every time the device is activated, the duration of the device's activation period increases ten-fold from what it was before. The range of the item's sphere of influence also increases exponentially every time it is activated, with the magnitude of each clock figure's effect becoming more potent than before. The item was found at a deserted Global Occult Coalition compound somewhere in East Prussia partially dismantled by GOC personnel. IAO teams reported to Alpha command that all GOC operatives within the compound had all expired with blood leaking from their eyes, ears, and other bodily orifices. A red mist was emanating from the item which ceased after the removed component was refitted back into its proper place. A retrieval Strike Team was deployed and the item was sent to Base [DATA PURGED] for experimentation. Supplementary Report A: A transcript of the item's song has been recorded by base personnel in accordance with the directives listed in Project Shroud. The following recording was taken prior to the Dark Star Falling Incident. Attempts at dismantling or destroying any components of the device is to be strictly prohibited. Experiments have shown the object to be extremely fragile. Whenever the device is subjected to physical abuse or has a component removed, the item would immediately activate and manifest it's abilities despite the gear spring mechanism not have been winded up by the key. The effects cease after the components are returned to its proper place or if the clock is repaired. It is theorized, that should the item be completely destroyed or disassembled beyond repair, that its anomalous effects will continue to occur, increasing in magnitude as well as area unable to be deactivated, potentially triggering a World End Scenario. For further information, Consult the log for Dark Star Falling. Researchers under Project Shroud have discovered a vellum scroll enclosed within the item's clockwork mechanism. The message reads as followed. For years I've toiled to fashion the ultimate clockwork masterpiece befitting my lord. However, you all have tried to ruin me and destroy the fruits of my labor. I've tried to address that problem for so many, many times, and yet was always frustrated by my inability to do something about that. Until today. By the time I'm writing this, you have already discovered my last hideout. You think you've won haven't you? Wrong. With this masterpiece I have finally proven worthy in front of my lord and your meddling shall invoke his wrath when you are sent to the 7th level of hell! This clock piece shall serve as my last curse upon this disgusting world. Try to destroy it all you like! Do it! I beseech you to try and dismantle it. You'll just make your own grave you depraved fools. I now sacrifice myself for my lord of torment and leave my permanent shackles upon this Earth. Usage Precautions: Violent, Unpredictable behaviour, Regenerative abilities. Handling Precautions: All personnel should maintain their distance from the item at all times. All personnel working with the item should carry necessary anti-tank weaponry at all times. Item searching for potential targets during a mission in Eastern Europe. Item is to be utilized for heavy fire support of raids on Foundation Containment Sites and the destruction of opposing armoured vehicles and massed personnel. Field personnel working in conjunction with the item should maintain distance from the object in order to insure that friendly fire incidents are kept to a minimum. Deployment of the item in question requires the authorization of 1 Beta Personnel. Item should be deployed with a screen of heavy ASSAULT units and Containment specialists who will be responsible for supporting the item during operations and restrain the item in the event of mission success/failure. If the item in question is unable to be recovered, personnel in the field are instructed to utilize whatever methods necessary to insure the item is damaged beyond worth of salvage. Tapering, Misuse or unnecessary abuse of the item however, is strictly forbidden and will result in severe punishments or demotion. While not in use, item is not to be loaded with ammunition. Due to the item's unique properties, regular maintenance of the item and it's components is not required. A weekly allotment of 1 human test subject placed in the object's containment unit should prove sufficient for the item's bare necessities. Should the item in question breach containment, all personnel in the vicinity are to subdue the item with extreme prejudice. During the containment breach, severe damage to the item will be authorized. 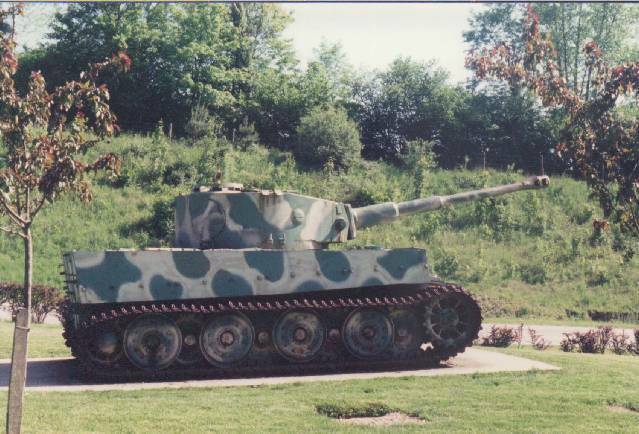 Item is a Panzerkampfwagen VI Tiger Ausf.E German Heavy Tank recovered by the Insurgency in 1980. Usage Precautions: -Do not let any unauthorized living organisms come in contact with the vial's internal contents. 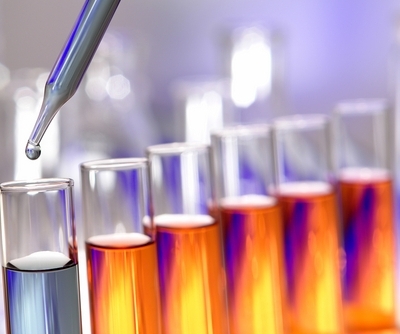 Handling Precautions: Samples should be stored in a cryogenic storage freezer when not in use. Samples of the serum being analyzed. In order for the serums's full effect to take place, the substance must either be introduced into the body via oral ingestion or intravenous drip. All personnel operating within the area should don Level B Hazmat suits and maintain sanitary protocols until termination of testing. Should test subjects (who were subjected to the serum) threaten test boundaries, base security carrying incineration equipment will be deployed to sterilize the holding pens and cages. When not in use, samples of the serum should be kept in cryogenic storage under guard. 2 minutes after receiving serum: Spasmodic limb motion, Disorientation, frothing from the mouth. 5 minutes after receiving serum: Atrophy of the limbs, shedding of fur and other excessive body hair; skin pigmentation takes on a peachy hue. Rudimentary humanoid features begin to either morph from existing appendages or violently burst out of creature's body. 8 minutes after receiving serum: Creature begins to stand in a upright bipedal fashion with arms/legs or varying lengths. Anatomical structure of creature at this point is approximately that of Homo Sapiens. After approximately 8 minutes the creature's physical structure becomes approximately that of an average human whose gender is identical to that of the creature itself though the creature's original size is retained. Likewise despite the humanoid appearance, the creature's cognitive functions remain unchanged. Many test animals display poor motor functions, suffering trauma caused by the excruciating transformation. Test animals display rabid and often violent behaviour before expiring within 2 days. After several trials on test animals, human experimentation commenced. A variety of humans from different ethnicities and ages. When injected with the serum, subjects experience similar trauma as the animals but in 2 distinct ways depending on the method in how the serum is introduced. When introduced orally, subjects suffer intense agony in the stomach and small intestines proceeding to violently regurgitate stomach contents before expiring. Autopsy on corpses have revealed severe mutilation and distending of the stomach and large malignant growths manifesting in the lining of the subject's stomach including embryo-like growths. However the effects of the serum are greatly varied when introduced intravenously into the body. The mutations occur on an erratic level ranging from extra limbs sprouting,increased sensory perception or in some cases, increased strength coupled with decreased cognitive functions. On one rare occasion, subject displayed [CENSORED] traits similar to [DATA PURGED] attacking and [CENSORED] any living thing which approaches within a 1 meter radius leaving only bones and other hard parts. The subjects physiology was difficult to discern due large amounts malignant tumorous growths obscuring anatomical features. During the incident subject escaped the base's premises. Recovery has so far been unfruitful. The serum is currently held in a classified base known only to personnel with proper security clearance. The vials are housed in a standard cryogenic freezer under lock 24/7. Currently research is devoted to possible manufacturing of the serum (as any molecular data regarding its replication was redacted by the Foundation) as well as the formula's modification in order to augment the performance of military personnel without undesirable side-effects. Serum's formula unlocked. Manufacturing under way. The next batch of test subjects will be ready soon.